Made in Italy, glass demijohns are great containers for wine, vinegar, kombucha, and many other beverages. They have a classic teardrop shape and a plastic protective basket. Wide mouth demijohns are ideal for easy cleaning because you can reach in with your hands. They are usually used more for fermentation where as the narrow mouth unis are used more for storage. 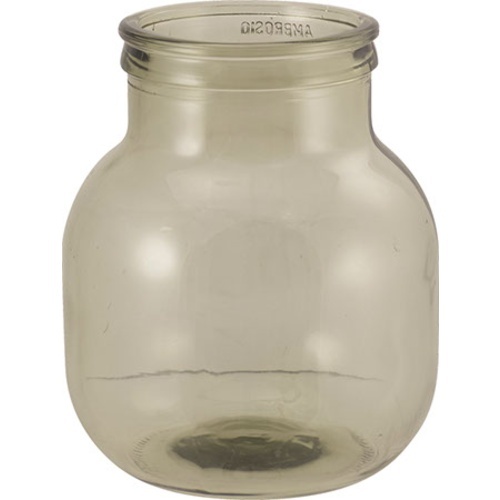 Perfect for fruit wines, vinegar, kombucha, or anything where you would like to reach in to the container. 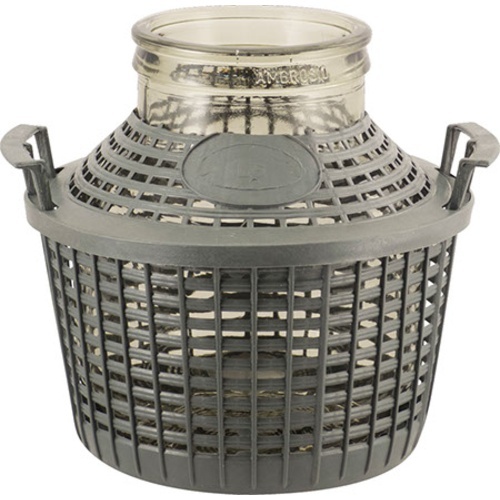 The width of the mouth of this demijohn is 4.5", and includes a plastic dust cover. 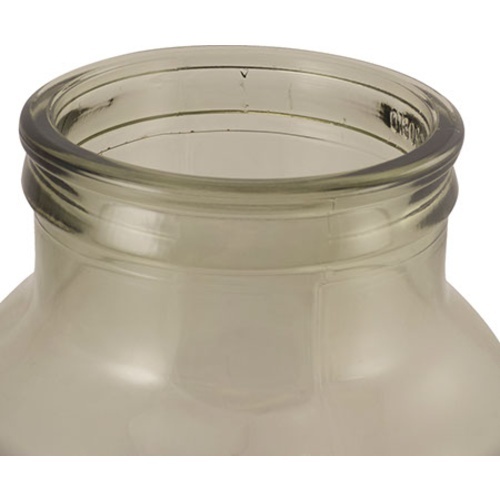 To use with an airlock, cut or drill a small hole, and use with a rubber stopper and airlock. Needed 5 liters of liquid storage. The glassware is pretty solid. Thick glass, wide mouth, works well for what I need it for. Unfortunately, the cap is awful. Its not liquid / air tight, so thats a problem. Additionally, the plastic they use is sub par, it split on me. I needed to resort to some really rigged plasitic wrap / tape / cap / rubberband setup. Finding a replacement cap or anything that would be better than the original is a real exercise in futility.